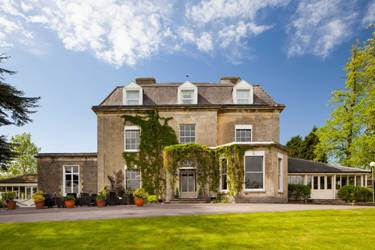 The Mercure Grange Hotel in Winterbourne, Bristol are holding their own wedding fayre on Sunday 14th October 2012 from 11am – 3pm. It’s completely free entry with a goodie bag on arrival. Set in 18 acres of landscaped gardens, the Mercure Grange Hotel promises an elegant setting for your special day. Just a short drive away from Bristol and with room to seat up to 150 people for a banquet it is the ideal size and location. There will be over 20 exhibitors and the hotel will be doing some wedding set-ups to see how it would look on your special day. Don’t worry if you have booked your venue already why not come along anyway and see the wonderful exhibitors or for a spot of lunch. Win a pair of tickets to the National Wedding Show!